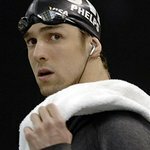 Decorated U.S. Olympians Michael Phelps and Allison Schmitt will serve as Honorary Chairpersons of the Substance Abuse and Mental Health Services Administration’s (SAMHSA) National Children’s Mental Health Awareness Day (Awareness Day). The Awareness Day 2017 event takes place Thursday, May 4, at The George Washington University Jack Morton Auditorium in Washington, DC. Mr. Phelps and Ms. Schmitt will each receive a SAMHSA Special Recognition Award for speaking candidly about their experiences with mental health and working to support youth and young adults with similar experiences. Through the Michael Phelps Foundation, Mr. Phelps has worked on numerous initiatives to support the foundation’s core mission of promoting active and healthy lifestyles for children. Ms. Schmitt is passionate about helping youth and young adults with mental health challenges and has spoken about her mental health journey at numerous speaking engagements at foundations and mental health organizations across the country. Awareness Day 2017: “Partnering for Help and Hope” will focus on the importance of integrating behavioral health and primary care for children, youth, and young adults with mental and/or substance use disorders, as well as those who may experience chronic illness. The event will follow a talk show format featuring interactive panel discussions about understanding the connection between physical and behavioral health, and improving communication between primary care providers, behavioral health providers, youth and families.